Save on produce with Savingstar! 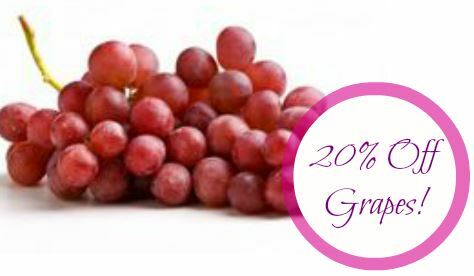 Through 7/25, you can save 20% on any single purchase of grapes at participating retailers. Grapes are a great snack to have on hand for the kids to munch on this Summer. This coupon expires on 7/25 and is good for one use only. Learn my tips about how to cut grapes!